Retro Style with SammyDress - Leila D.
Today I am sharing this beautiful plaid two piece set and bag. They are both from SammyDress. Plaid is popular this fall and even though I don't wear it too often, I had to have this wonderful set. It's one size, so not too much to think about when ordering and they have 2 more color choices on their website. The bag is something else. Wow, what a design and a great color too. It will definitely make you the center of attention. It's very unique and it can be styled with so many things to add that retro touch to your look. They also have 2 more color choices for the bag. I think it's an unique and chic outfit that will definitely turn heads. The combination of burgundy and royal blue looks extravagant. That set is amazing. I thought it was a dress. If I wouldn't have read, I wouldn't have know it's a set. It looks awesome, great picks. Lovely. Fits you so well! 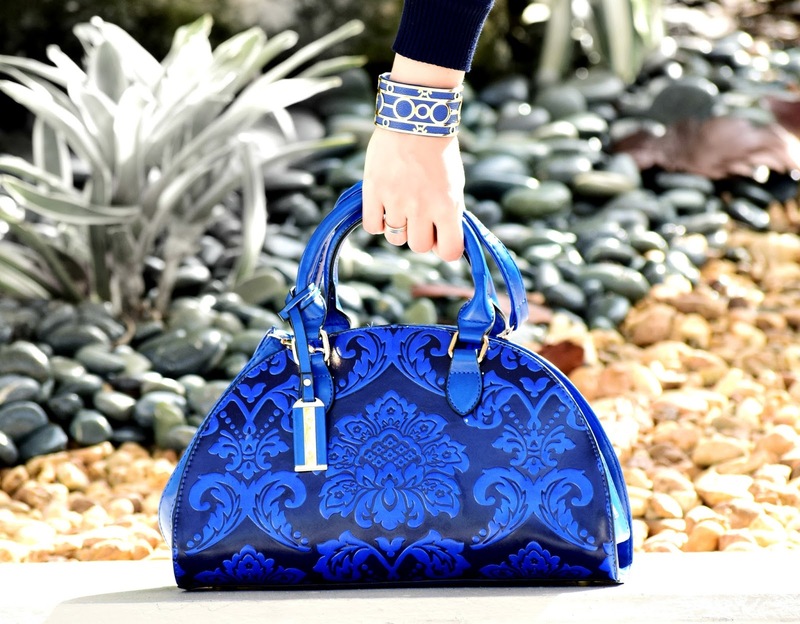 Wow, your bag reminds me of Renaissance era, the damask pattern is super cool with the blue color <3 Love your plaid dress as well!